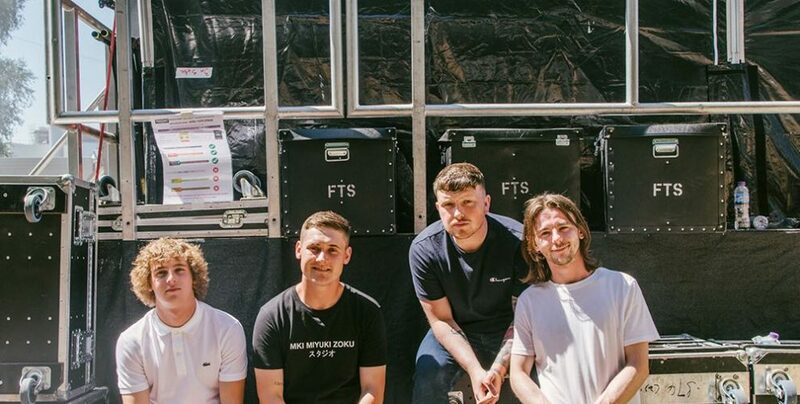 The Snuts, comprised of Jack Cochrane, Joe McGillveray, Callum Wilson and Jordan McKay, are a band that are bubbling under Scotland’s surface, ready to burst at any moment. Driven by the kind of stadium-sized dreams that glint in the eye of their predecessors, their vast choruses and powerhouse vocals have struck a chord with Scotland’s much-revered civic pride, amassing something of a cult following which spreads far beyond the parameters of their West Lothian upbringings. Their debut single, ‘Seasons’ masters blistering indie energy and serves as an enticing glimpse into their ambitious tendencies and the same can be said for follow up single, ‘Manhattan Project’, a riotous, rock and roll number that is as emotive as it is charismatic. Follow the band on Twitter, Instagram or via their Facebook page for more updates.